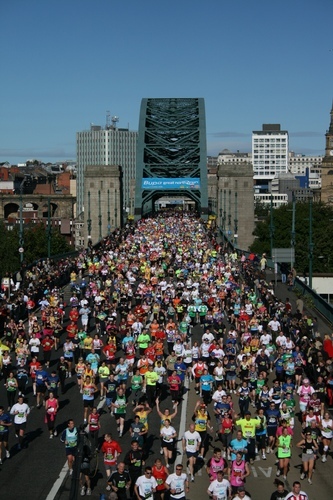 iomart Hosting, one of the UK’s leading cloud computing and managed hosting companies, has taken Nova International, organiser of the world’s biggest half marathon the Great North Run[http://www.greatrun.org], into the cloud. Nova migrated its Great North Run website to the cloud with iomart Hosting earlier this year and will be performance testing the solution over the next few weeks. More than half a million people will visit the site over this coming weekend for the Bupa Great North Run, as well as registering for Nova’s other Great Run events in Edinburgh, Sheffield and Portsmouth which take place in October. Currently iomart Hosting hosts twelve servers for Nova which run the websites and entry systems through which 100,000s of competitors register to take part in its world class series of mass participation, televised sporting events and access useful information about training. While September is the busiest time of the year for the Great Run website, over recent years interest has increased and the site now gets almost two and a half million visits per year. iomart Hosting is a subsidiary of iomart Group plc, which was recently named Scottish Digital IT Company of the Year, and is ranked as one of the top 25 cloud services providers in the world. iomart has been shortlisted as a finalist in the National Business Awards 2011 in partnership with Orange. News release issued on behalf of iomart Hosting by Jane Robertson, Head of PR for iomart Group plc. For more information please email jane.robertson@iomart.com or call 0141 931 6474 (dir), 0141 931 6400 or 07827948993 (mob). iomart Hosting is one of the UK’s leading providers of complex managed hosting and cloud computing services to the enterprise market. It owns and manages its own network infrastructure, including five UK data centres, offering a unique 100% uptime guarantee. Services include: Private and Hybrid Cloud, Colocation, Content Delivery Networks, IP Transit, Cloud Storage and Email. Clients include: Cimex, BT plc, Stagecoach, Newsquest, Learndirect, SoftCat, London School of Economics, Shine TV, STV, and Servecentric. iomart Hosting is an ISO9001 & ISO27001 certified company. The company is fully accredited at Gold Partner level with VMware, Oracle and Microsoft. It is part of AIM listed iomart Group plc. iomart Group is one of the UK’s leading providers of managed hosting and cloud computing services. From a single server through to private cloud networks, iomart specialises in the delivery and management of mission-critical hosting services, enabling customers to reduce the costs, complexity and risks associated with maintaining their own web and online applications. By physically owning and managing its own global network infrastructure, iomart offers world-beating levels of service to its customers. The Group offers a unique 100% uptime guarantee with all hosting services being engineered to ensure no single point of failure. iomart Group operates in its chosen markets through a number of subsidiaries: iomart Hosting, RapidSwitch, Titan Internet, Easyspace and Westcoastcloud. The group has been listed on the London Stock Exchange's Alternative Investment Market (AIM) since April 2000. Nova International, headed by Olympic medallist, Brendan Foster, is one of the UK’s leading event management and sports marketing agencies. The company’s current brand portfolio also includes some of the biggest running events in the world, all based on the Bupa Great North Run, the world’s biggest half marathon with over 54,000 entries. Nova International was established in 1988 and has a strong sporting pedigree. Based in Newcastle upon Tyne, Nova has established itself as a market leader in the world of sports marketing and event management. For more information please visit www.greatrun.org. This press release was distributed by ResponseSource Press Release Wire on behalf of Iomart Group Plc in the following categories: Men's Interest, Leisure & Hobbies, Sport, Business & Finance, Media & Marketing, Public Sector, Third Sector & Legal, Computing & Telecoms, for more information visit https://pressreleasewire.responsesource.com/about.